WORLD TRADE IS FORECAST AT 2.4 PERCENT GROWTH FOR 2017: The lackluster outlook could be further compounded by the resurgence of protectionist measures following the election of Donald Trump. Coface upgrades ratings for 11 Countries, including Spain and Argentina. Mexico and South Africa among four Coface rating downgrades. Recoveries in Brazil and Russia that will offset the slowdown in China. Global trade credit insurer Coface released its 2017 forecast for the global economy and the quarterly update to its assessments for 160 countries. Following two years of slower world growth, the outlook should improve slightly in 2017, up from 2.5 percent to 2.7 percent. This outcome will be driven by a rebound in emerging countries, with expected 4.1-percent growth due to recoveries in Brazil and Russia that will offset the slowdown in China. Advanced countries will see stable growth of 1.6 percent. The lackluster outlook for world trade, forecast at 2.4 percent growth for 2017—compared to an average of 2.2 percent between 2008 and 2015 and to an average of 7.0 percent between 2002 and 2007—could be further compounded by the resurgence of protectionist measures following the election of Donald Trump. In the short term, these measures will have a lesser effect on the US economy at the end of the cycle (+1.8 percent) than they will have on other countries that export heavily to the US, including Mexico, Ecuador, Honduras, and El Salvador in the Americas, and Thailand and Vietnam in Asia. 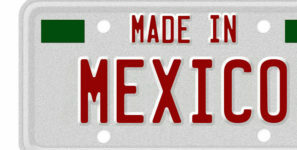 Given Mexico’s strong reliance on exports to the US, which represent seven percent of GDP, and a situation of higher inflation and falling investments, Coface is downgrading Mexico’s country risk assessment to B. Argentina, however, will be relatively immune to the Trump effect and, after a difficult year, should start to reap the benefits of its reforms. Coface is upgrading the country risk assessment for Argentina to B. Political risks will continue to be a major concern in 2017. Among the advanced economies, Europe is facing the greatest political uncertainty as it awaits the outcome of a number of decisive electoral battles, as well as the exact terms of Brexit. Over the last year, Coface’s European political risk indicator has increased by an average of 13 points for Germany, France, Italy, Spain, and the United Kingdom. Another major political upset on the scale of Brexit could slow European growth by an average of 0.5 points. Political risks in emerging countries are higher than ever, driven by social discontent and heightened security risks. The CIS and North Africa/Middle east regions show the greatest risks among the major emerging economies. The rise of political risks, social frustrations, and poor growth are to blame for the downgrade of South Africa to C.
-5.1 percent in the United States, and -4.1 percent in Italy. Bank loans granted to highly-indebted companies are straining the resources available for younger, fast-growing companies. Excessive company indebtedness is also a problem for emerging countries. Companies in China have the highest levels of debt, at more than 160 percent of GDP, a level that rose by 12 GDP points between the second quarter of 2015 and the second quarter of 2016. The rate of bad debt in the banking sector is rising sharply in Russia, India, Brazil, and China, while credit conditions are becoming stricter. For first time since mid-2015, Coface has made more upgrades than downgrades in its country risk assessments. Spain has been upgraded to A3, while Iceland and Cyprus, where risks related to capital controls are decreasing, are now assessed A2 and B, respectively. In Central Europe, Estonia (A2), Serbia (B) and Bosnia-Herzegovina (C) have all seen improvements in their business environments and growth in these countries is reaching comfortable levels. The recovery in Bulgaria (A4) is confirmed thanks to moderate growth and the continued consolidation of the banking sector there. In sub-Saharan Africa, smaller countries are faring better than the larger economies. Two of the best performers in the region are Ghana (B), which passed its democratic maturity test in December, and now has a good level of public finance management, and Kenya (A4), which has seen a boost in tourism and increased public investments.